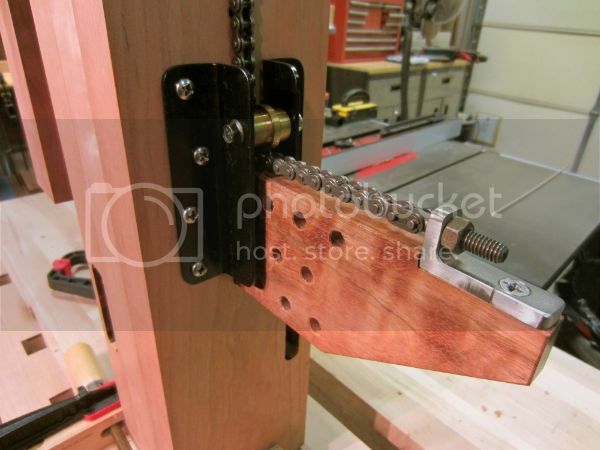 As I was blogging about my split Roubo bench build using BenchCrafted hardware, Jim (Boatman53) offered me a prototype of his chain drive for the leg vise. This is a chain that goes from the chop, through the front leg and then down to the parallel beam. 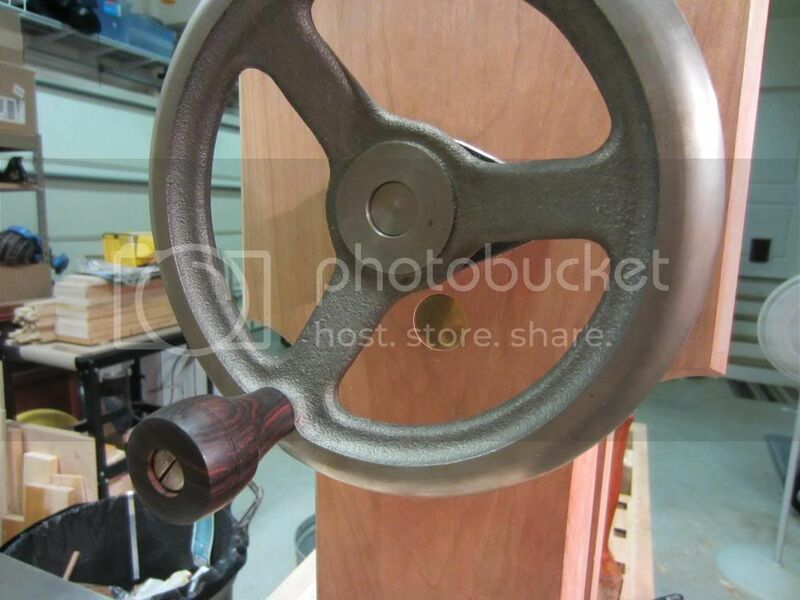 It is really clever idea that eliminates the need for the parallel pin. 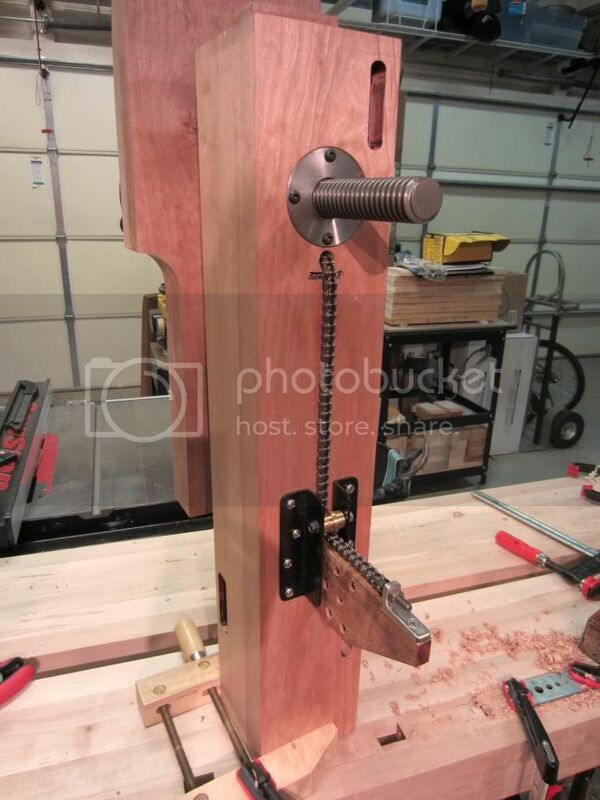 I’ve been using the chain vise for several months now and here are my thoughts. Obviously the kit comes with everything needed. I just want to add a note to the quality of the components. They are all heavy duty and well machined. I have no doubt that they will last for the generations that my bench should. There is really not much too it. However, since I was almost done with Bench Crafted leg vise I finished that and then installed the Chain Vise as a retro-fit. I drilled a 5/8” hole through the chop and front leg. The chop gets another 1” counter bore. 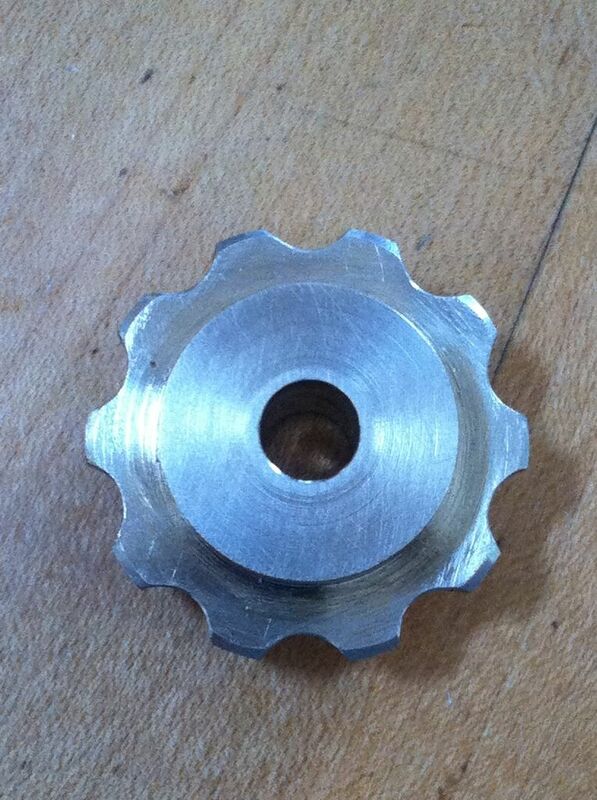 I did mortise the top sprocket but you can more easily do a surface mount. Next, I cut out a notch on the top of the parallel beam to secure the chain attachment bracket. Once you thread the chain, you can adjust the tension to keep the chop parallel. 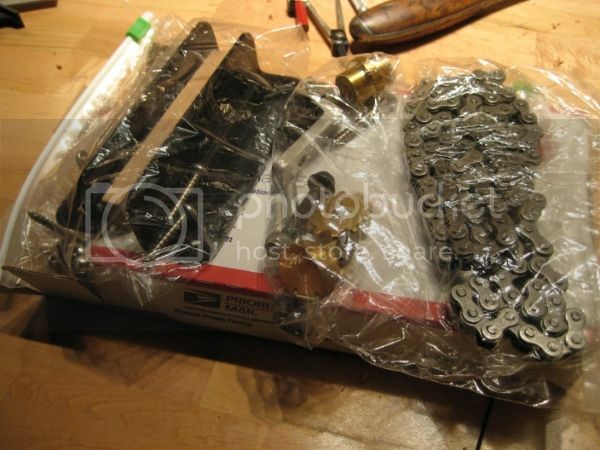 You may have to remove some chain links depending on the length that you need. The only caveat to this system is that there seems to be a little more lateral play in the parallel guide. I copied Derek Cohen's idea placing an adjustable guide for the beam. In the end, it is mindless and that is the point. Once you set the tension the chop can provide tremendous clamping force at any position. I have not noticed any detriment in the action or smoothness of the vise. It works. 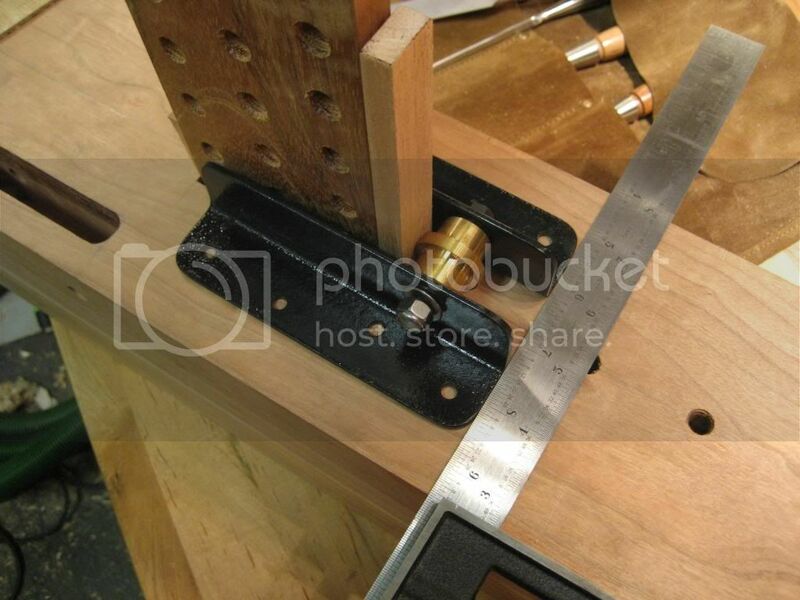 BenchCrafted now has their Crisscross for pinless leg vise operation. 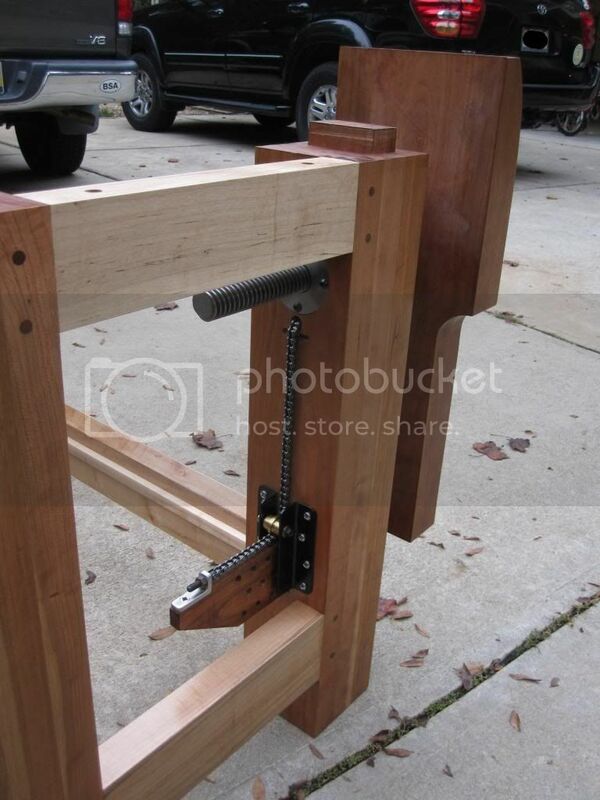 It looks pretty cool but requires a large mortise in the leg and vise. The real obstacle for me is that the Cricross requires a full length chop which I do not have. I really don’t want to make a new chop. 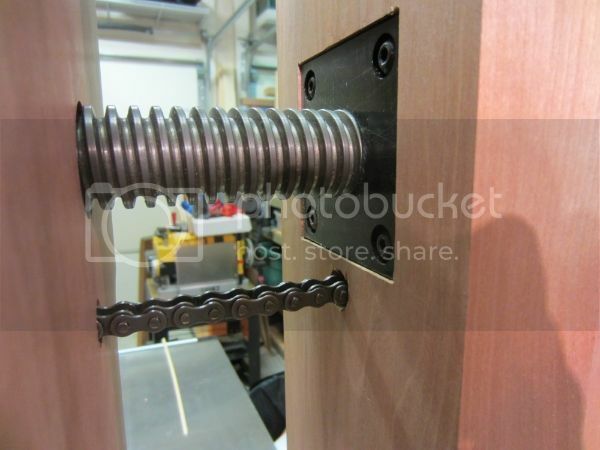 The chain vise requires neither of these and is a lot easier to install. Clean, no fuss installation, great design. Thanks Scott, for your kind review. I would like to add again that the kit Scott installed was pre production and just had a roller at the bottom. While it worked I was concerned about crushing chain links. 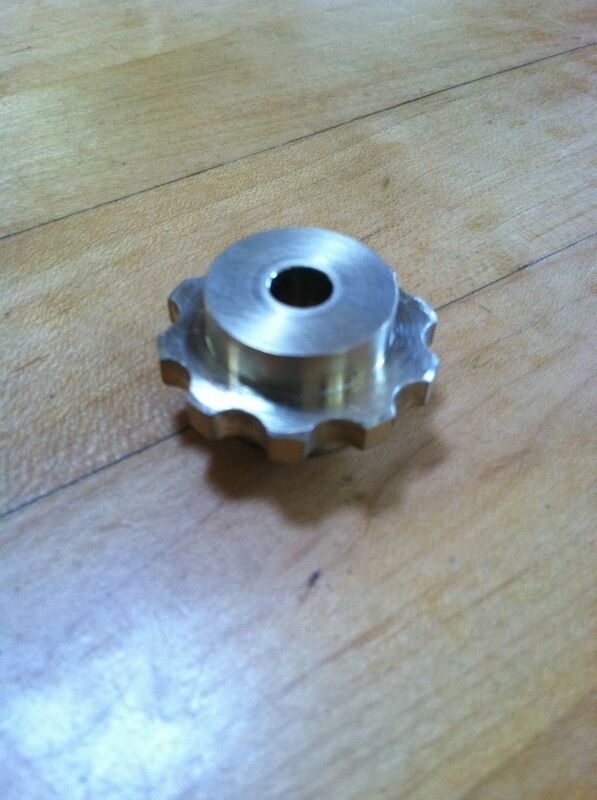 The sprockets now look like this. And yes I did up grade Scott’s sockets, he just didn’t photograph them. Your vise is nicer than my whole shop. Great work, great review. -- honing my craft one mistake at a time. Hoping to start one of these next year. I’ll be using your posts as a reference for sure. Great design. 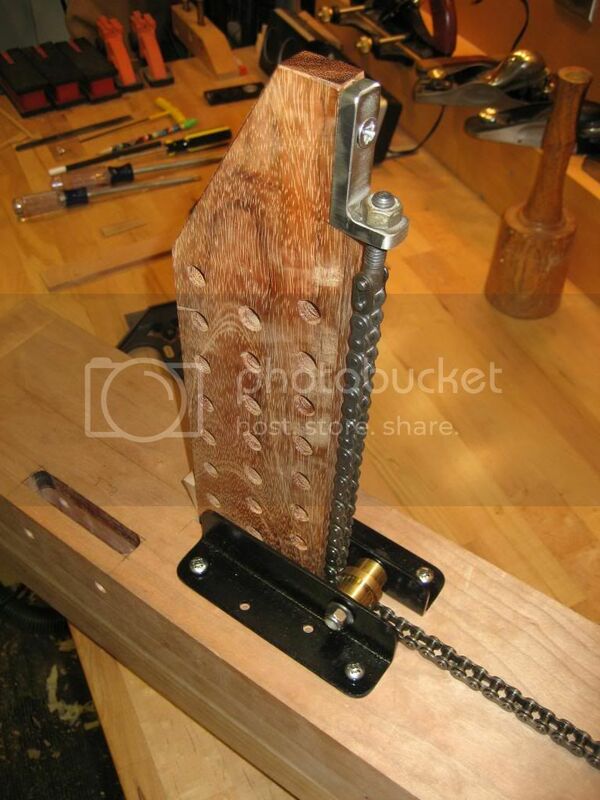 The other advantage to this parallel guide is that it can be retrofit to any leg vise even those with wooden screws. 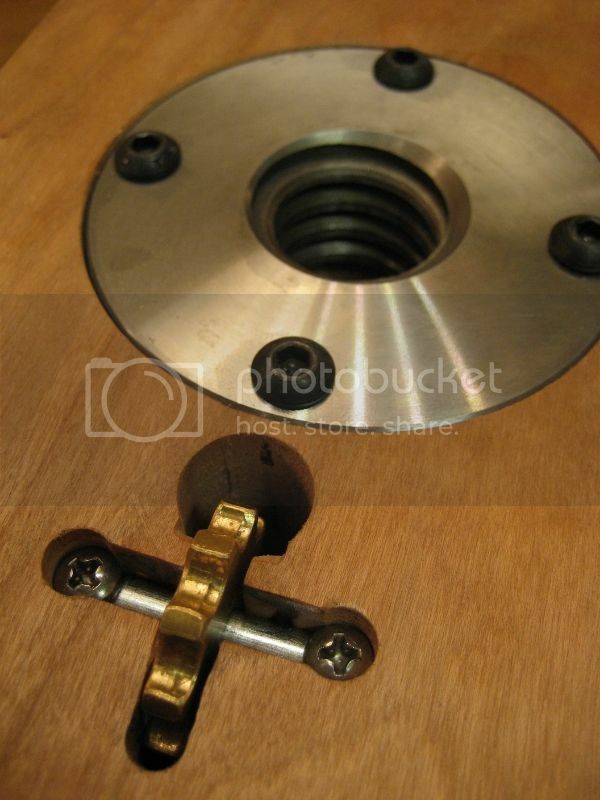 Also it lets you clamp a long board below the screw which the BC Crisscross cant do. Thanks for the review, Scott…I’m certain if Jim made the parts, they are top quality. 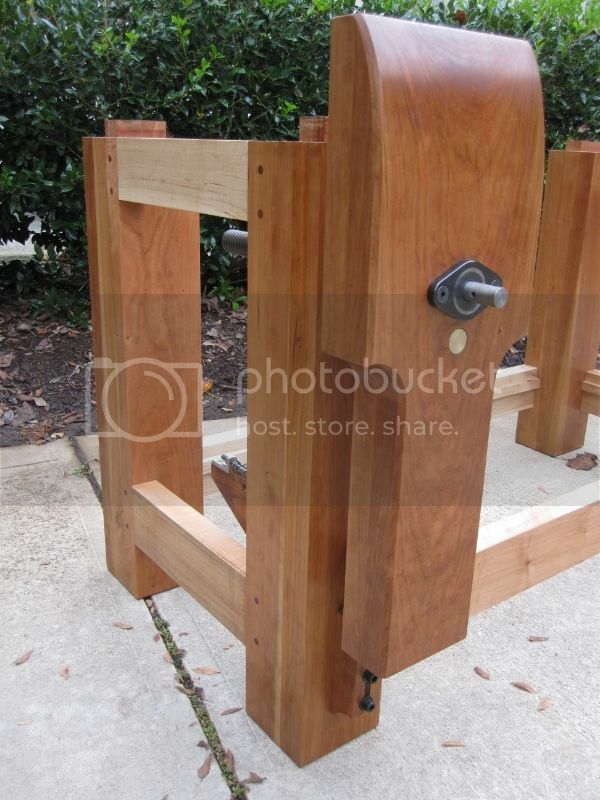 Iam nowhere near getting started building me a bench, still in the mental planning stage,. 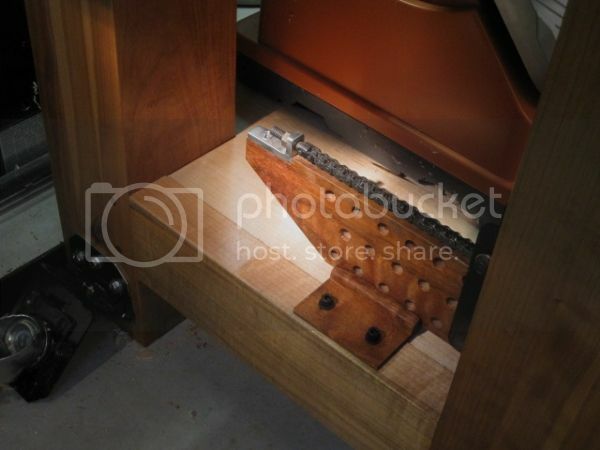 After reading through your blog and admiring your beautiful bench, this looks like one of the areas where i will make financial room to install especially with current back problems, using the pin for the glide was not appealing to me. I have to say once again: perfect! And I have a question: clamping pressure tightens the chain so it tries to pull bottom roller/sprocket away, and so those 8 screws have to be pretty well secured to hold it inplace. Did you ever need to re-tighten those 8 screws? Do you think that softwood-made legs (pine in my case) will work here? Hi Yuri… I did not try it in pine. I did install one on a fir leg and tightened it far more than necessary, nothing moved. 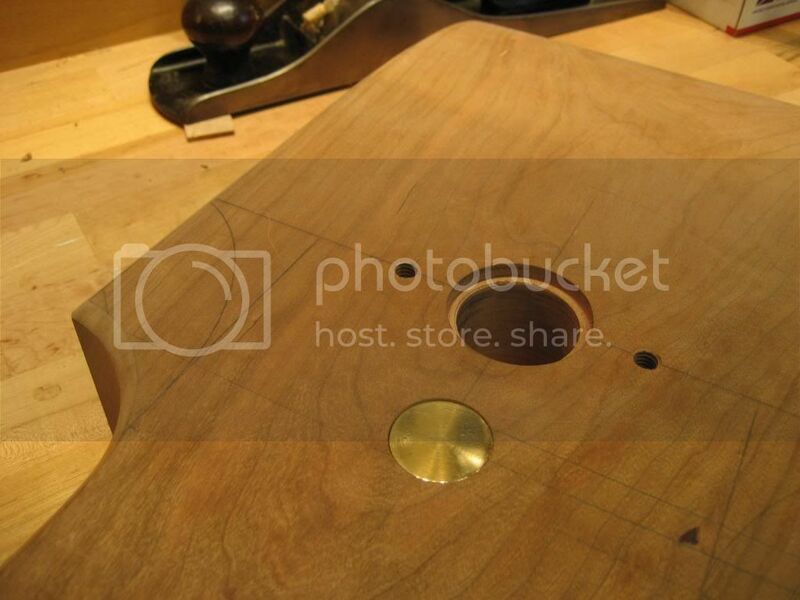 For pine legs I would definitely drill undersized pilot holes and perhaps use longer screws. 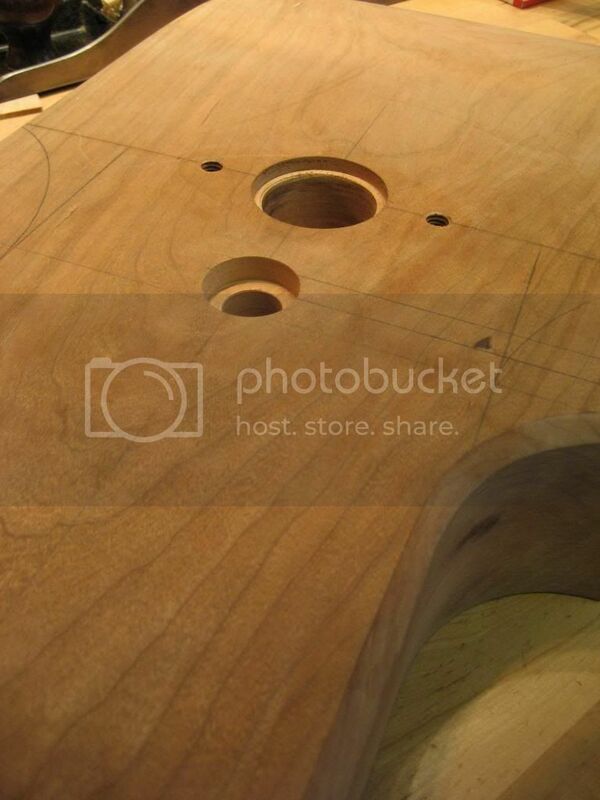 Depending on the size of the leg it could be through bolted on the corner holes and the other holes with screws. 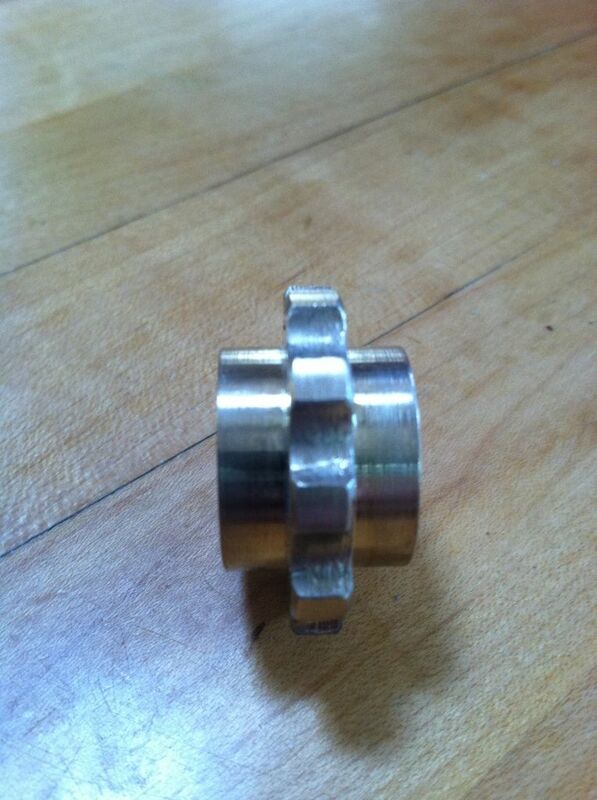 The first one I made I through bolted because I just didn’t know the forces. Depending in the distance between the beam and the screw it can be 600 pounds that translates to less than 100 pounds per screw. The force is also at a 45 degree angle not straight out. Though I’m aiming now to the pinned design (sending you kit up here to Russia will be way too costly), but I’m keeping in mind possible retrofit because there’re chances that I’ll to the US for a few days this summer with a business trip. How much time beforehand shall I contact you to be sure I won’t miss it during my trip? Yuri….I ship them in a small priority mail flat rate box. It only takes a couple of days to anywhere in the US. I’ll check with the Post Office it might not be too bad unless you have additional taxes. I’ve shipped to Austraila, New Zealand, England, and Austria all were but 12$ USD additional for the shipping. Jim, thanks a lot. PM-ed to you. I don’t think Jim could have found a stronger endorsement for his stellar product. Nice thing keeping it in the LJ family too. Nice review Scott and a great design Jim. Congrats to both of you.